Dr. Jaliman tells how to exfoliate dry feet. Not every skin problem requires a trip to the doctor or expensive high-tech treatments. Dr. Jaliman Featured in USA Today! 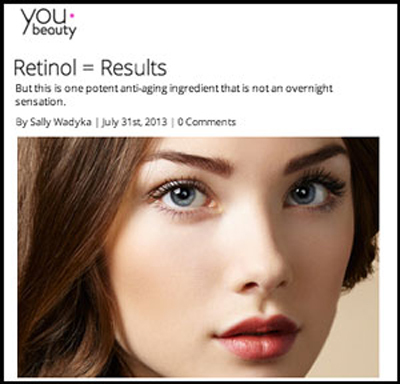 Dr. Jaliman explains how to change your products as your skin ages. Dr. jaliman explains how red wine flares rosacea. 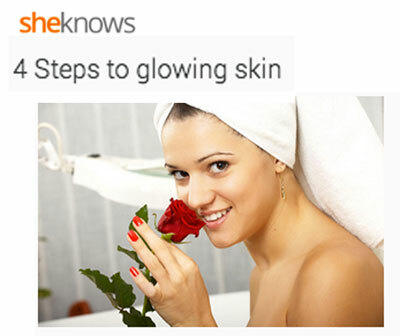 Dr. Jaliman talks about how to get glowing skin. Dr. Jaliman talks about the laser Genesis and the Medlite laser and how they can improve your skin. Dr. Jaliman talks about who should and shouldn’t use face oils. Dr. jaliman on Health Guru! Go check out all of our videos on Health Guru. Dr. Jaliman Featured in Health Magazine! Let’s face it, we all love things that bring us immediate gratification. Waiting and waiting to see results seems so old school. 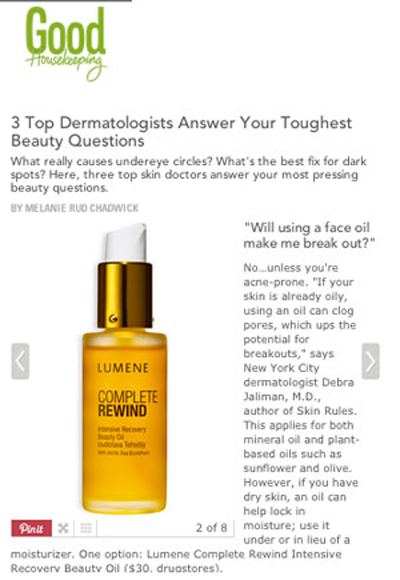 Dr. Jaliman Featured in MarieClaire Magazine! 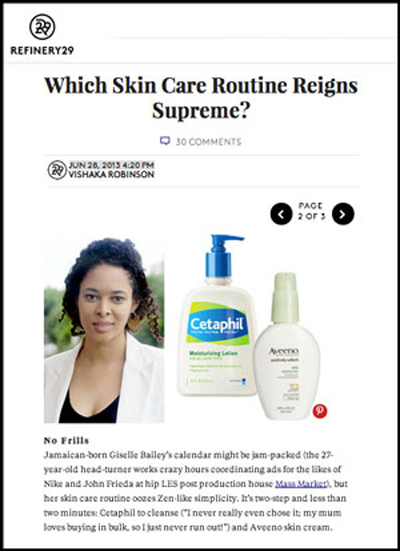 Which Skin Care Routine Reigns Supreme? Dr. Jaliman advises women on how to change their skin care regimen. 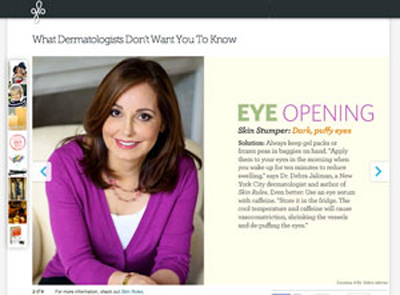 Dr. Jaliman Featured in InTouch Magazine! Dr. Jaliman talks about Botox and sunscreen. Dr. Jaliman Featured in Glamour Magazine! Dr. Jaliman talks about the Clarisonic and Azaclear. A new study has found that applying sunscreen every day can do more than lower your risk of skin cancer — it can also drastically reduce the effects of photoaging, or the way frequent sun exposure can make your skin look older. Move over B.B. cream – there’s a new product on beauty shelves. Chances are you’ve spotted the latest trend in skincare: the C.C., or color correcting, cream at your drugstore or beauty boutique. Since May is melanoma month, we thought it was fitting to raise awareness of this deadly disease (and prevent getting burned) by asking Debra Jaliman, M.D., a cosmetic dermatologist in NYC and author of Skin Rules: Trade Secrets from a Top New York Dermatologist, for her thoughts on the six sunscreen mistakes (c/o La Roche-Posay) you could be making without even knowing it.